RCI Senior Resource Specialist Lynn Zonge and Mark Kimbrough Accept Award for 2017 Outstanding Rural Plan on Behalf of the Eagle Valley Trail Committee – Resource Concepts, Inc.
A local volunteer group of trail enthusiasts formed the Eagle Valley Trail Committee to develop a plan for trails in Eagle Valley. The goal of the project is to formalize existing trails which are located on both private and public land. The plan identifies trail sustainability, new trails and prioritizes trail and trailhead projects. 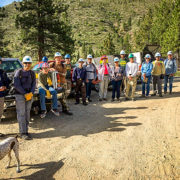 The Eagle Valley Trail Committee is coordinating to have the plan adopted by Carson City, U.S. Forest Service, and the BLM and will work to obtain easements for the trails. 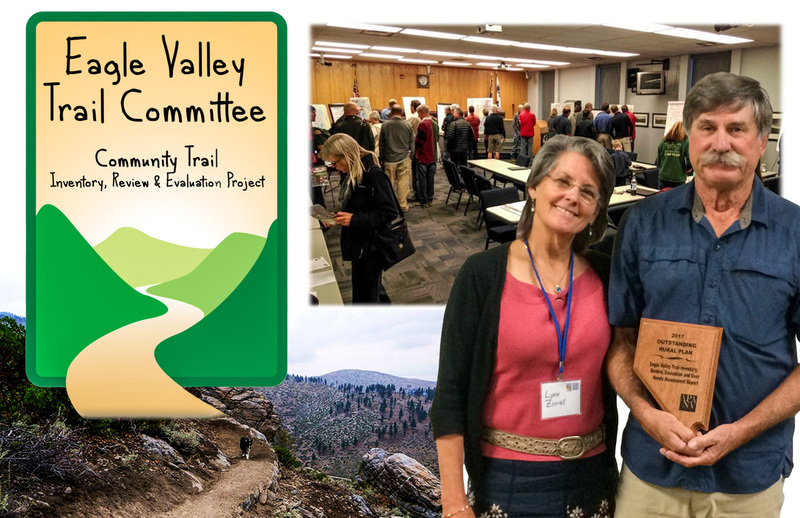 Lynn Zonge and Mark Kimbrough accepted the 2017 Outstanding Rural Plan for the Eagle Valley Trail Inventory, Review, Evaluation and User Needs Assessment Report on behalf of the Eagle Valley Trail Committee. The award was presented at the American Planning Association Nevada Chapter at the 45th Annual Conference of the American Planning Association Nevada Chapter on October 4th. The Eagle Valley Trail Committee provided the award to the Carson City Parks, Recreation & Open Space Department for display at their office. The department has been very helpful and supportive of the planning effort. 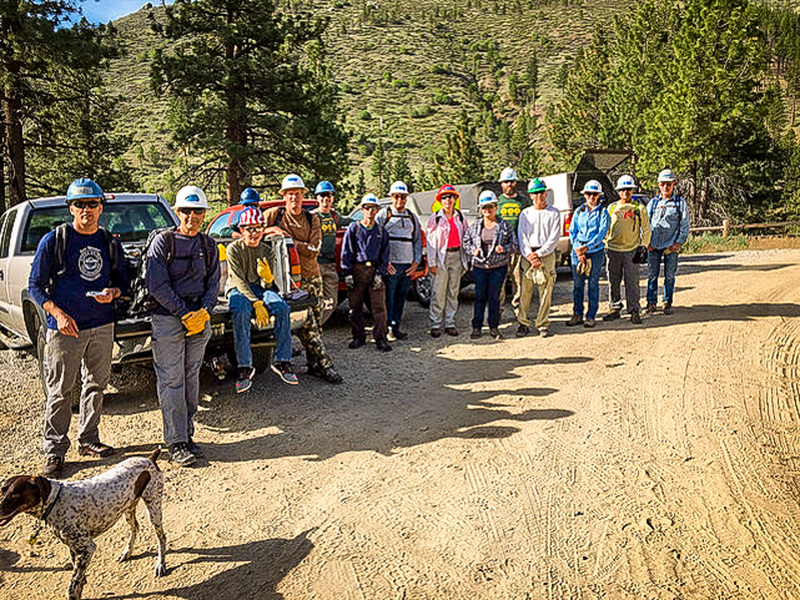 Congratulations to the committee on their years of outstanding cumulative work efforts in completing the Eagle Valley Trail Inventory, Review, Evaluation and User Needs Assessment Report!